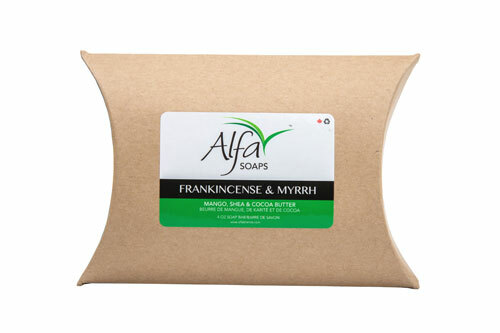 It is a 4oz nourishing skin care frankincense and myrrh soap with glycerin and natural, exotic triple butter (Cocoa, Mango, Shea), vegetable based blend. This soap is super emollient and works as an exfoliator. Even with the use of rich botanic butters, our soap rinses clean and leaves no soapy film or residue. It is SLS and SLES-free, microbead free and has no added color. We use 100% recyclable packaging to have as little negative environmental impact as possible. It is a 4oz nourishing and natural exfoliant frankincense soap with natural and exotic cocoa butter, mango butter and shea butter, vegetable based blend. It has fantastic lather and is high in natural emollient. It works as a natural cleanser and moisturizes sensitive skin. Even with the use of rich botanic butters, our soap rinses clean and leaves no soapy film or residue. 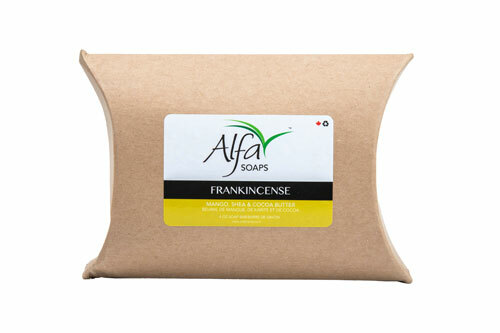 Frankincense soap is SLS and SLES-free and microbead free. It has no added color. 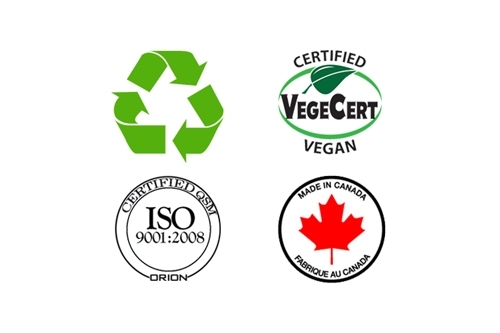 We use 100% recyclable packaging to have as little negative environmental impact as possible. It is a 4oz nourishing Myrrh soap with natural, exotic triple butter (Cocoa, Mango, Shea), vegetable based blend. It has fantastic lather and is high in natural emollient. It removes acne and soothes skin. Even with the use of rich botanic butters, our soap rinses clean and leaves no soapy film or residue. 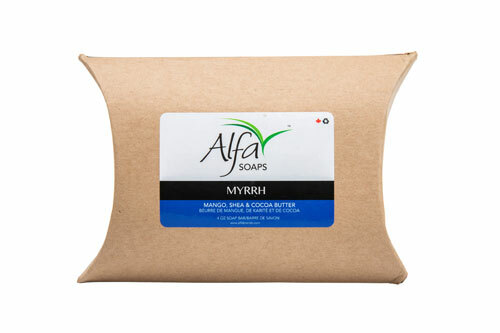 Myrrh soap is SLS, SLES-free and microbead free. It soothes and moisturizes dry skin and has no added colorants. Our restriction on micro beads means we use no plastic in our products keeping your skin, as well as your local lakes and oceans free of this non-biodegradable waste. It is a 4oz nourishing and unscented Himalayan Pink Salt soap with natural and exotic triple butters that are cocoa, mango and shea butter, vegetable based blend. It exfoliates the skin and is high in natural emollient. It is created to soothe and moisturize dry skin. Even with the use of rich botanic butters, our soap rinses clean and leaves no soapy film or residue. 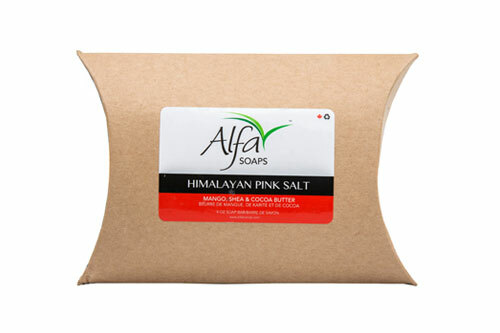 Himalayan pink salt soap is SLS and SLES-free and microbead free and has no added color. It is a child safe product. Our restriction on micro beads means we use no plastic in our products keeping your skin, as well as your local lakes and oceans free of this non-biodegradable waste. 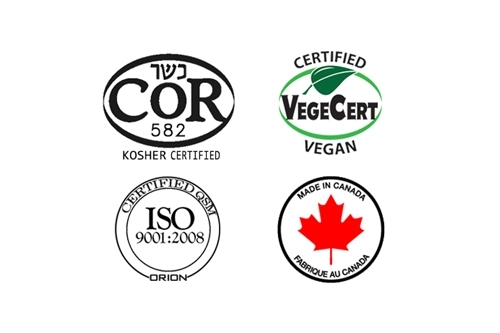 We use 100% recyclable packaging to have as little negative environmental impact as possible. Our restriction on micro beads means we use no plastic in our products keeping your skin, as well as your local lakes and oceans free of this non-biodegradable waste. It’s a 100% soy based handmade, phthalate free candle in 8 oz tin. The flavor is Coffee and Spice. Top notes are Coffee cake & Cinnamon. Melted soy wax will not cause severe burns. They burn slower and cooler which helps to better distribute the fragrance of the candle. It assures full aroma therapeutic experience. 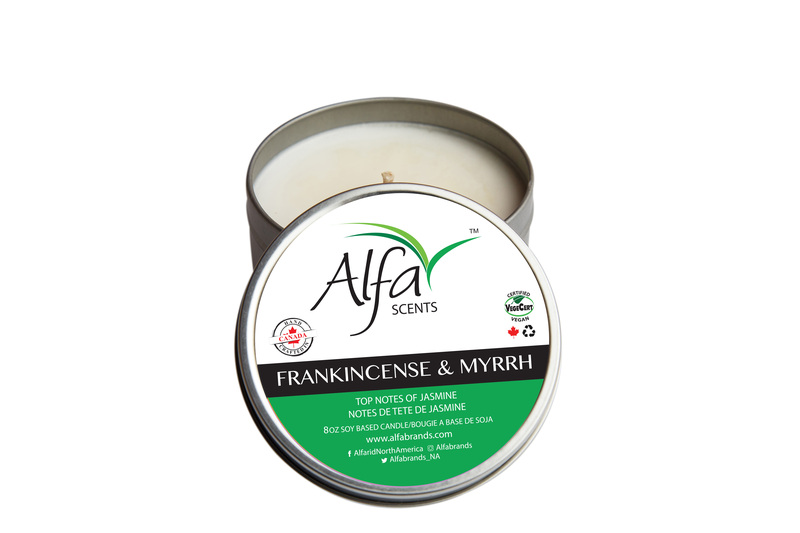 It is a 100% soy based handmade, phthalate free candle in 8 oz tin. The flavor is Frankincense and Myrrh. The Top note are Sandalwood and Jasmine. Melted soy wax will not cause severe burns. 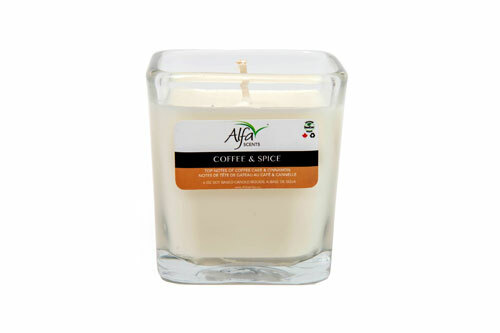 Soy candles are nontoxic and less likely to trigger allergies. They burn slower and cooler which helps to better distribute the fragrance of the candle. It assures full aroma therapeutic experience. 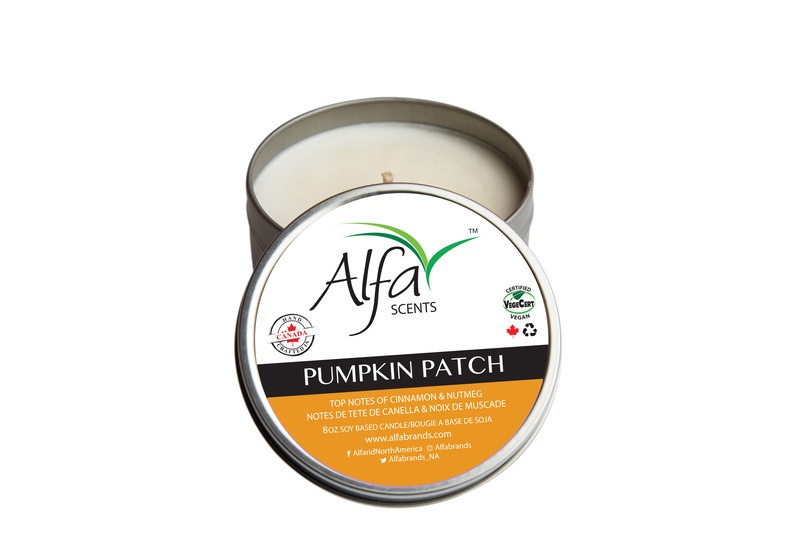 It ‘s a 100% soy based handmade, phthalate free candle in 8 oz tin. The flavor is Pumpkin Patch. Top notes are Cinnamon and nutmeg. Melted soy wax will not cause severe burns. Soy candles are nontoxic and less likely to trigger allergies. They burn slower and cooler which helps to better distribute the fragrance of the candle. It assures full aroma therapeutic experience. It’s a 100% soy based handmade, phthalate free candle in 8 oz tin. 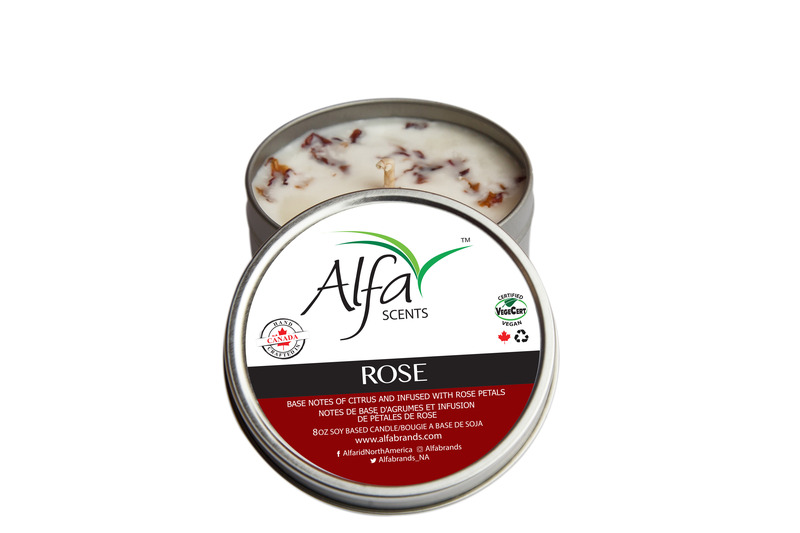 The soy wax is infused with Rose Petals. Melted soy wax will not cause severe burns. Soy candles are nontoxic and less likely to trigger allergies. They burn slower and cooler which helps to better distribute the fragrance of the candle. It assures full aroma therapeutic experience. It ‘s a 100% soy based handmade, phthalate free candle in 8 oz tin. The flavor is Jasmine. Top notes are Apple and Grape. They burn slower and cooler which helps to better distribute the fragrance of the candle. It’s a 100% soy handmade, phthalate free Lavender 8 oz candle. The top note are floral herb and oak. Soy candles are nontoxic and less likely to trigger allergies. They burn slower and cooler which helps to better distribute the fragrance of the candle. It assures full aroma therapeutic experience. It’s a 100% soy handmade, phthalate free Lilac and Lilies 8 oz candle. The top notes are jasmine and rose. Soy candles are nontoxic and less likely to trigger allergies. They burn slower and cooler which helps to better distribute the fragrance of the candle. It assures full aroma therapeutic experience. It’s a 100% soy based handmade, phthalate free candle, with top notes of Vanilla, in 8 oz tin. Melted soy wax will not cause severe burns. Soy candles are nontoxic and less likely to trigger allergies. They burn slower and cooler which helps to better distribute the fragrance of the candle. It assures full aroma therapeutic experience. It is 100% soy based handmade, phthalate free candle in 8 oz tin. The flavor is Sandalwood Candle. Top notes are Jasmine & Cedar wood. Melted soy wax will not cause severe burns. Soy candles are nontoxic and less likely to trigger allergies. They burn slower and cooler which helps to better distribute the fragrance of the candle. It assures full aroma therapeutic experience. It is 100% soy based handmade, phthalate free candle in 6 oz jar. The flavor is Frankincense and Myrrh. Top notes is Jasmine. Melted soy wax will not cause severe burns. Soy candles are nontoxic and less likely to trigger allergies. They burn slower and cooler which helps to better distribute the fragrance of the candle. It assures full aroma therapeutic experience. It is 100% soy based handmade, phthalate free candle in 6 oz jar. The flavor is Coffee and Spice. Top notes are Coffee cake & Cinnamon. Melted soy wax will not cause severe burns. Soy candles are nontoxic and less likely to trigger allergies. They burn slower and cooler which helps to better distribute the fragrance of the candle. It assures full aroma therapeutic experience. It is 100% soy based handmade, phthalate free candle in 6 oz jar. The flavor is Jasmine. Top notes are Apple and Grape. Melted soy wax will not cause severe burns. Soy candles are nontoxic and less likely to trigger allergies. They burn slower and cooler which helps to better distribute the fragrance of the candle. It assures full aroma therapeutic experience. It is 100% soy based handmade, phthalate free candle in 6 oz jar. The flavor is Pumpkin Patch. Top notes are Cinnamon nutmeg. Melted soy wax will not cause severe burns. Soy candles are nontoxic and less likely to trigger allergies. They burn slower and cooler which helps to better distribute the fragrance of the candle. It assures full aroma therapeutic experience. It is 100% soy based handmade, phthalate free candle in 6 oz jar. The flavor is Vanilla. Melted soy wax will not cause severe burns. Soy candles are nontoxic and less likely to trigger allergies. They burn slower and cooler which helps to better distribute the fragrance of the candle. It assures full aroma therapeutic experience. It is 100% soy handmade, phthalate free Lilac and Lilies 6 oz candle. The top note is jasmine and rose. Soy candles are nontoxic and less likely to trigger allergies. They burn slower and cooler which helps to better distribute the fragrance of the candle. It assures full aroma therapeutic experience. It is 100% soy handmade, phthalate free Lavender 6 oz candle. The top note are floral herb and oak. Melted soy wax will not cause severe burns. Soy candles are nontoxic and less likely to trigger allergies. They burn slower and cooler which helps to better distribute the fragrance of the candle. It assures full aroma therapeutic experience. It is 100% soy based handmade, phthalate free candle in 6 oz jar. The flavor is Sandalwood Candle. Top notes are Jasmine & Cedar wood. Melted soy wax will not cause severe burns. Soy candles are nontoxic and less likely to trigger allergies. They burn slower and cooler which helps to better distribute the fragrance of the candle. It assures full aroma therapeutic experience. Burn within sight away from flammable objects, children and pets. Burn on heat safe surface. Keep wax pools free of debris. Keep wick centered & trim to ½” each time candle is lit. Stop use of candle when ½” of wax remains.